This program will run during the crowdsale of Bayan Token which starts on June 27th, 2018. We invite you to join us in spreading awareness of our community and our token. The bounty campaign ends on September 24th, 2018. The stakes for all bounties will be counted every week. 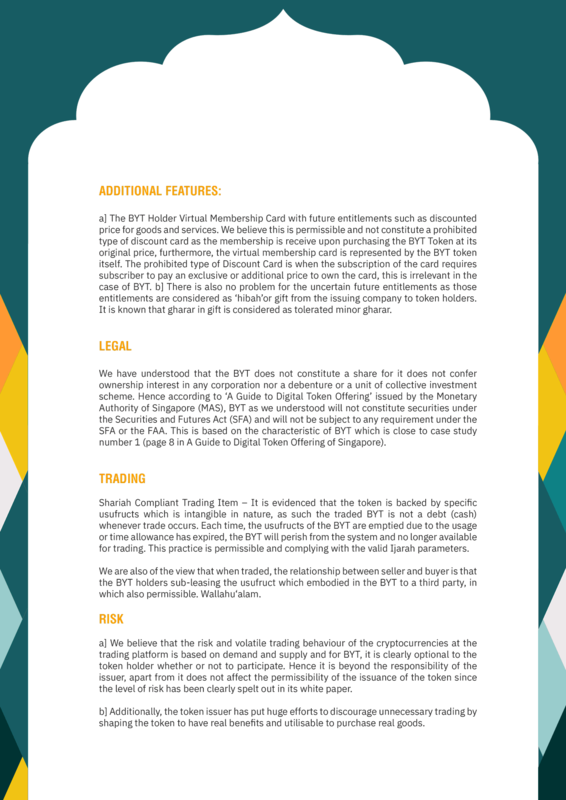 Bounty fund for BYT is 1% of the total supply (200,000,000 BYT). We will distribute the award among all campaign participants sometime between Aug-Oct 2018. Bayan Token reserves the right to make amendments to the bounty program at any time. 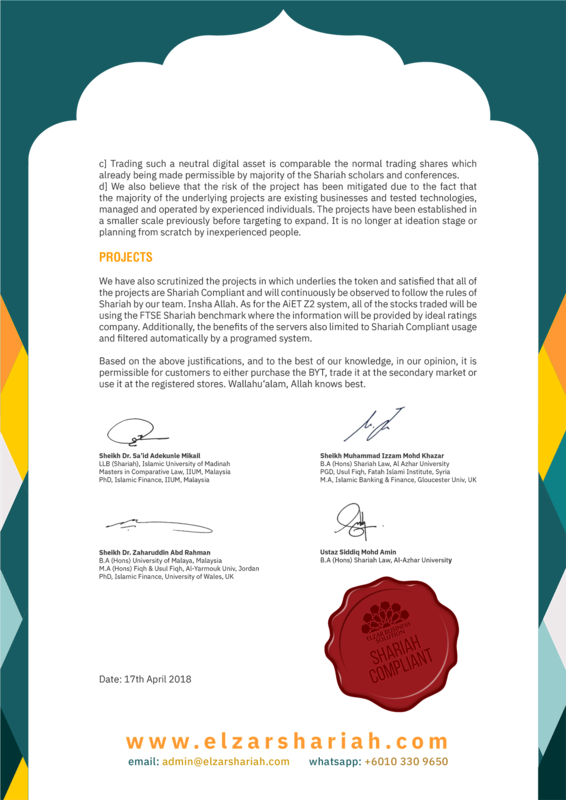 Bayan Token reserves the right to remove stakes/participants from the bounty program for any reason such as unethical behaviour or fraudulent submissions. Earn stakes for translating our Website, Whitepaper or the Announcement Thread and actively moderating it. We need translations for French, Italian, Spanish, Portuguese, German, Chinese, Korean, Indonesian, Turkish, Hindi and other languages are welcomed too. Submit now! Any use of machine translation is prohibited. For stake counting, only the posts of the OP are counted towards Moderation activity. Translators should be active, if OP becomes inactive, another Moderator will be hired to update and moderate the thread. Do not make unnecessary multiple posts to increase stake numbers, this will result in the posts not to be counted and a penalty. Increasing post count by making unnecessary posts is not allowed, and this kind of post will not be counted. 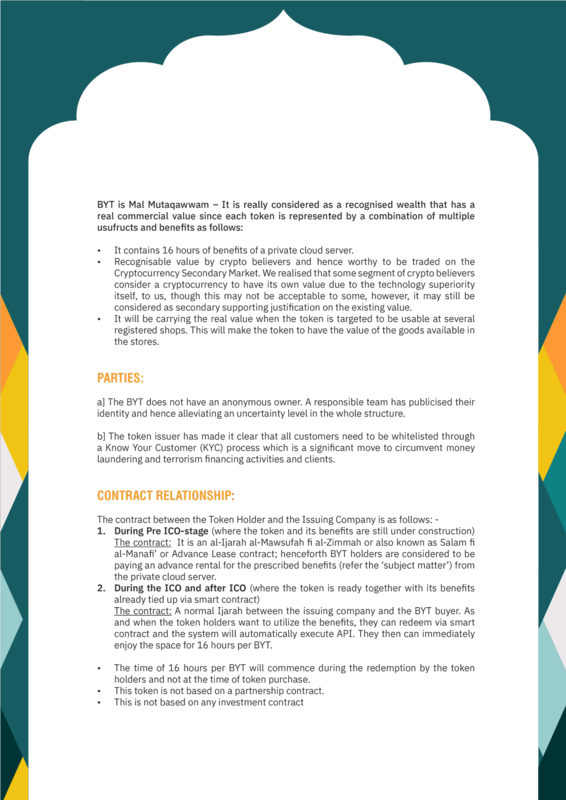 Bayan Token Team reserves their right to change these terms or apply new ones. Follow us on Twitter (https://twitter.com/BYTtoken). Must LIKE and RT our posts (different posts) at least 5 times per week at @BYTtoken; maximum 15 RTs. 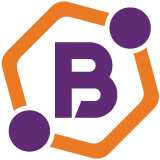 Every week post a form to Bayan Token Bitcointalk Bounty Thread (https://bitcointalk.org/index.php?topic=4545866.0) with the links of your Tweets/Retweets in the following manner. Twitter reporting must be done in a new post (format), and not added to an existing post. Like our Facebook page (https://www.facebook.com/bayantoken/). You must LIKE and SHARE our posts (different posts) at least 5 times per week; maximum 15 posts. Comments on our posts may also be constructive questions/answer. We embrace and encourage discussions about our product. 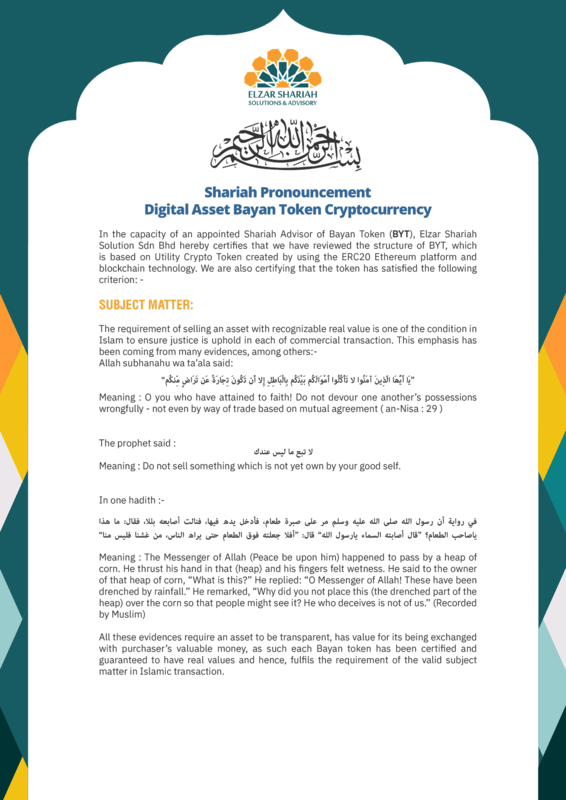 Every week post a form to Bayan Token Bitcointalk Bounty Thread (https://bitcointalk.org/index.php?topic=4545866.0) with the links of your Shares/Posts in the following manner. Facebook reporting must be done in a new post (format), and not added to an existing post. Join our Telegram Group (https://t.me/bayantokenBYT) and Telegram Channel (https://t.me/bayantoken). Important! Do not mention the Bounty Campaign in the channel. For all Bounty Related questions join our Telegram Bounty group (https://t.me/bytbounty). Using multiple accounts, cheating or spamming are not allowed and will result in termination of your bounty stakes. Be active and supportive in the group, but don’t overdo it. Stay in the group until the end of the crowdsale – otherwise you will be disqualified. Activity % will be checked weekly by Combot. If your flood ratio (showed by Combot) is bad we reserve the right to disqualify you for the week. At the end of the crowdsale, participant who is ranked No. 1 in Combot will be awarded with extra 500 stakes. Subscribe to our Youtube Channel, LIKE and leave at least ONE positive comment at any of our official videos. The content of the article must be original content and contain at least 500 words. Video must be at least 2 min long. Article must reflect our information as stated in our website. Article must at least contain one active link to our website. Link to our website must be included in the video's description. Articles and videos may be shared by us on our Social Media accounts. Participants in this campaign have to be at least a Junior Member in rank of Bitcointalk to wear our signature. Minimum 10 eligible posts per week. If you will write more than 10 eligible post per week, every eligible extra post will be rewarded with 20% bonus. Limit: 10 extra posts. When you post in your Local forum you should post in Alternative Cryptocurrencies thread. You must keep the Signature until the end of the crowdsale, removing the signature before that time will result in disqualification. Posts with less than 80 characters will be disqualified. Users with negative trust are not allowed to join. Having tagged by Bitcointalk during the campaign period will result in no pay-out and removal from the campaign. If you feel that your signature would be useful in other forums. Do contact [email protected] or contact us via our Telegram group.